Chronic inflammation is a common cause of dry eye, especially in middle-aged women. Restasis is a highly effective drop that treats the inflammation and helps increase your eyes’ natural ability to produce tears. It is a key component in the treatment of dry eyes, and early treatment can help you get better control of your dry eyes. Restasis has an excellent safety profile and can be used over very long periods of time. 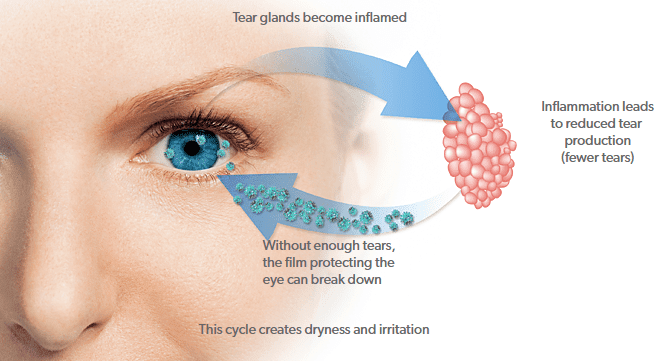 The standard of medical care for dry eyes is Restasis, often in combination with Lotemax drops for the treatment of acute inflammation, or an acute worsening of chronic inflammation. 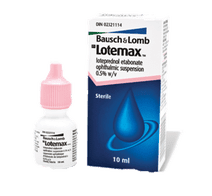 Lotemax gel is a very effective steroid drop that has the best safety profile of all topical steroids. This drop can be used for infections of the eyelids and also to help the oil glands on the eyelids to function properly. RESTASIS® users enjoy additional cost savings by joining the My Tears, My Rewards® Program and support and counseling by joining the My Tears, My Support™ Program. Both are free of charge.